"This is my Care-Tzu named Grizzly. Literally everywhere we go we get compliments on what a beautiful/handsome dog we have (I'm not just speaking as a proud owner—it's true!)." 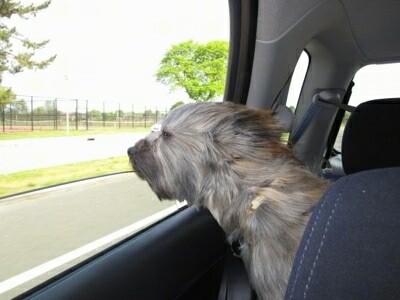 The Care-Tzu is not a purebred dog. 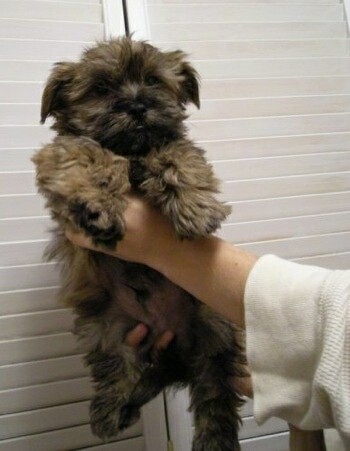 It is a cross between the Cairn Terrier and the Shih-Tzu. The best way to determine the temperament of a mixed breed is to look up all breeds in the cross and know you can get any combination of any of the characteristics found in either breed. Not all of these designer hybrid dogs being bred are 50% purebred to 50% purebred. It is very common for breeders to breed multi-generation crosses. 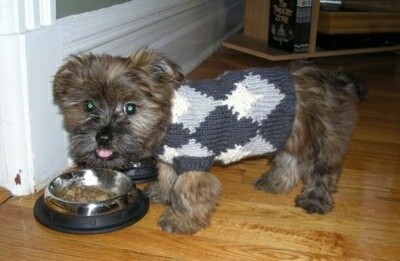 Grizzly the Care-Tzu as a 2-month-old puppy wearing a sweater, about to eat his dinner. 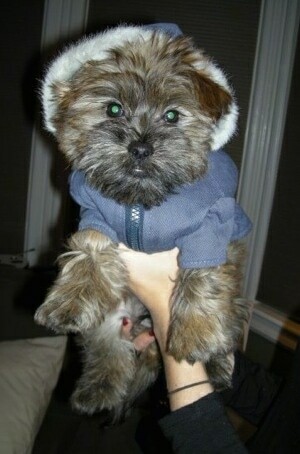 Grizzly the Care-Tzu at 1 year old wearing a hooded coat. 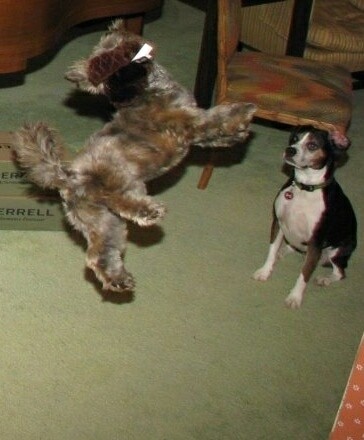 Grizzly almost does back-flips jumping for his toy, as Watson the Boston Terrier / Beagle mix (Boglen Terrier) watches. 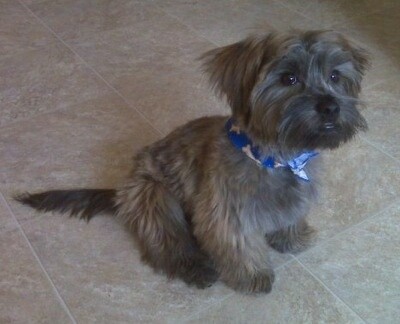 Dixon Himes the Care-Tzu at 16 weeks old, 12 pounds, 10” tall and 14” long—this photo was taken before his first grooming. 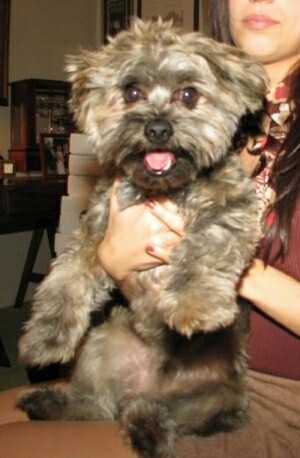 His father was a Cairn and mother a Shih-Tzu. Dixon Himes the Care-Tzu puppy at 6 weeks—his father was a Cairn and mother a Shih-Tzu.